Simon Green is Pro-Vice-Chancellor (Research) at Aston University. He is responsible for the University’s strategy around impactful, collaborative, excellent and sustainable research, and is also leading preparations for the 2021 Research Excellence Framework (REF). 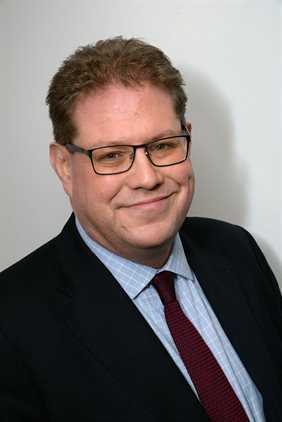 He also serves on the Executive Management Group of Midlands Innovation, which brings together Aston, Birmingham, Cranfield, Keele, Leicester, Loughborough, Nottingham and Warwick Universities. He was educated at the Universities of Manchester, Heidelberg and Birmingham and has held academic appointments at the Universities of Portsmouth (1997-2000) and Birmingham (2000-8), where he was also Deputy Director of the Institute for German Studies. He joined Aston as Professor of Politics in 2008 and subsequently served as Head of Politics and International Relations (2009-11), Deputy Dean (2011-13) and Executive Dean (2013-18) of the School of Languages and Social Sciences. His research interests lie in European politics, especially in comparative immigration, integration and citizenship policy, as well as in German political structures and party politics. His recent research projects have included the changing nature of Christian Democracy in Germany and comparing migration policies in the UK and Germany. He is the co-author (together with Dan Hough and Alister Miskimmon) of The Politics of the New Germany (Routledge, third edition 2019). Professor Green served as a member of the Area Studies Sub-Panel for REF 2014 and will do so again for REF 2021. From 2009-11, he was Chair of the International Association for the Study of German Politics (IASGP) and in 2011, he was elected as Fellow of the Academy of the Social Sciences. Alongside his academic activities, Professor Green is actively engaged in British-German relations.